Graphic designer Juan Pablo Bravo has created this awesome infographic showing 100 Pixar characters with their estimated sizes. Click the thumbnail below to see a full resolution version. During last night’s 81st Academy Awards, Pixar’s WALL-E took home the award for Best Animated Feature, marking Andrew Stanton’s second win in the category. In case you’re wondering, he also won for Finding Nemo. WALL-E was a huge hit for Disney/Pixar, raking in over $534MM worldwide and receiving a movie critic review average of 96% on RottenTomatoes. Also announced at last night’s awards ceremony was the winner for Best Animated Short. The winner was “La Maison En Petits Cubes,” directed by Kunio Kato, which you can watch in its entirety here. 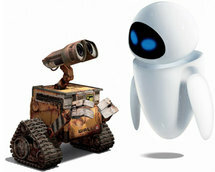 Check out this interview with Andrew Stanton, the writer and director of Wall-E and Finding Nemo. Congrats go out to everyone at Pixar and Sony Pictures Classics for winning Golden Globes at last night’s ceremony. 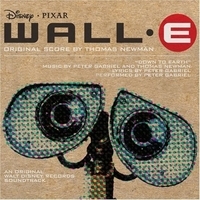 Pixar’s Wall-E nabbed the Best Animated Feature Film award, while Sony Pictures Classics’s Waltz with Bashir won Best Foreign Language Film. There’s no stopping Pixar’s little robot as he receives another award. At the 14th Critics’ Choice Awards, WALL-E won the award for Best Animated Feature. Waltz with Bashir, which was competing against WALL-E in the animation category, won Best Foreign Language Film. The rest of the animation nominees were Bolt, Kung Fu Panda, and Madagascar: Escape 2 Africa. 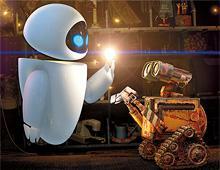 With many awards already claimed, WALL-E nabbed two more over the weekend. 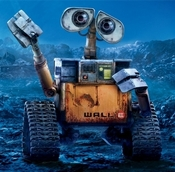 The New York Film Critics Online awarded WALL-E its Best Animated Feature of the Year award and also picked the film as one of the year’s Best Pictures. The second award came from AFI via their annual Top 10 Movies Of The Year awards. Below are the films that AFI named the Top 10 of the year. And the nominations just keep coming for Pixar’s masterpiece, WALL-E. This time around the film was nominated for three Grammys. The awards will be broadcast early next year.